Constructed out of super soft UA fabric, the Under Armour T-Shirt provides lightweight, all day comfort. Moisture-wicking properties keep you dry, anti-odor technology keeps your gear fresh, and four-way stretch fabrication enhances mobility. Sarah T. Reviewed by Sarah T.
High quality shirt, standard UA fit. My 8 year old son loves it, M fit perfectly! 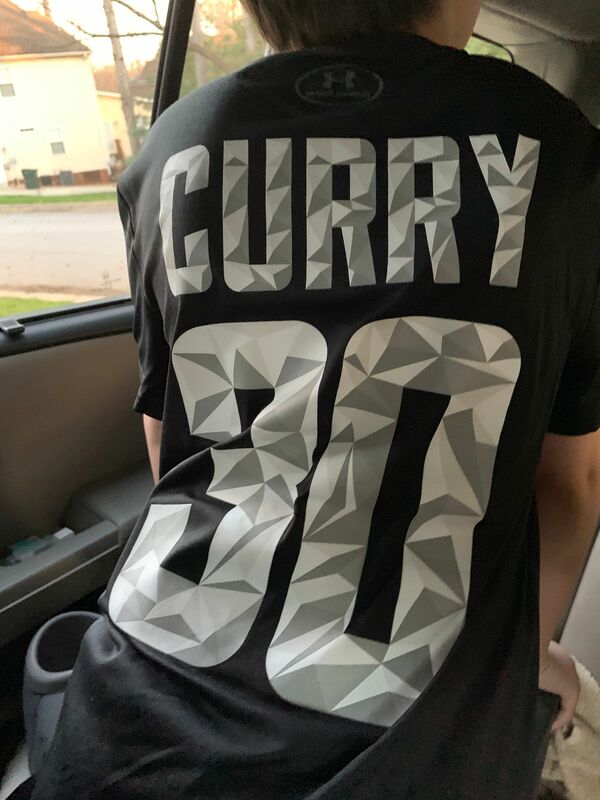 Michelle M. Reviewed by Michelle M.
I ordered this shirt for my 8 year old who is a big fan of Stephen cury. He loves the shirt, it’s soft & very comfortable to wear. Candice K. Reviewed by Candice K.
My son loves his shirts! Would have been good to get more colors his were mostly black. Overall we are happy with our purchase. Victor H. Reviewed by Victor H.
Bought this for my friends son on his birthday he’s very happy with it. Waist 22"-23" 23"-24" 25"-26" 26"-27" 28"-29"
Hips 25"-26" 26.5"-28" 29"-30.5" 32"-33.5" 35"-36.5"
Height 48"-50" 50"-54" 54"-59" 59"-63" 63"-67"